Shelby Cobra 427 Model Engine. 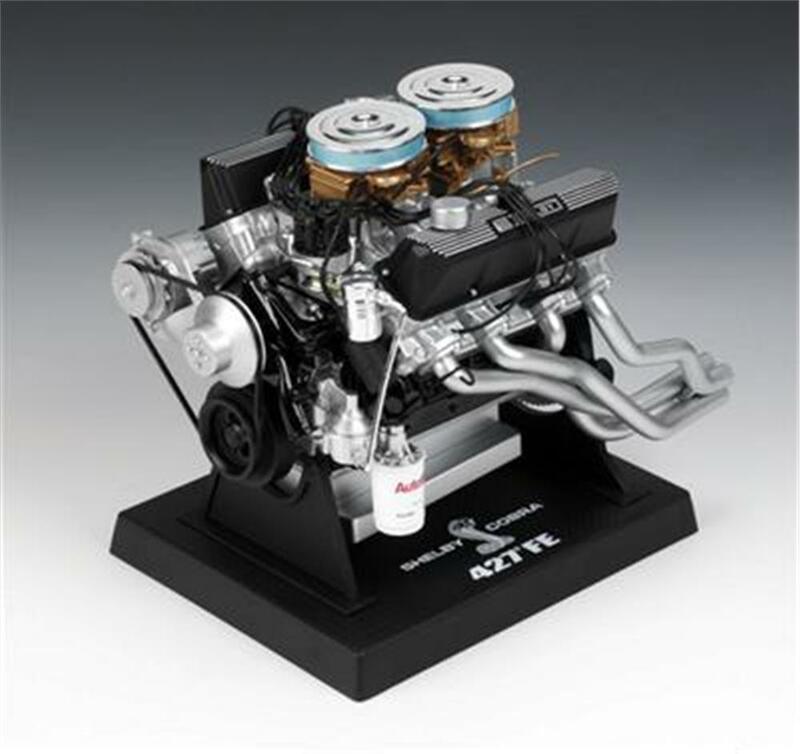 Carroll Shelby worked with manufacturers worldwide to put some of the hottest engines on the road. Produced in 1:6 scale this highly detailed diecast replica model engine includes operating starter motor, flywheel gear and pulleys, detailed fuel system with fuel log, fuel lines, pump & filter, full ignition wiring and much more.